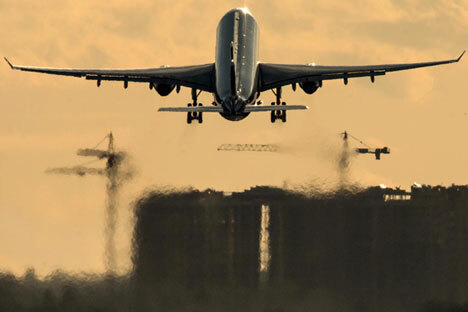 EASA recommended the use of two air routes over the Black Sea. Russia's aviation agency Rosaviatsia believes that the European Aviation Safety Agency's (EASA) recommendation concerning flights over Crimea is politically motivated. "It is obvious that the EASA recommendation is a purely politically motivated decision, which completely fails to reflect the real technical capabilities of Ukrainian air traffic control centers and poses a threat to flight safety in this region. Politicized decisions should not substitute the principles of flight safety," Rosaviatsia said in a commentary posted on its website. The EASA earlier recommended the use of two air routes over the Black Sea, which were proposed by Ukraine as part of measures to resume the use of air routes in this region. Rosaviatsia also said in its commentary that "the EASA calls on European airlines to operate flights along the L851 and M856 air routes under the control of Ukrainian air traffic controllers." "At the same time, it is known that these routes belong to the area of responsibility of the Simferopol flight information region, which is under the control of Russian air traffic controllers from the Crimean branch of the State Corporation for Air Traffic Management of the Russian Federation. This branch has all necessary and advanced technical equipment and experienced personnel, and ensures control over air traffic in line with the highest world standards. The Russian side did not agree upon the EASA statement and does not plan to transfer control over air traffic in the Simferopol flight information region to Ukrainian air traffic controllers," the Russian agency said. Crimean land dispute: Who are Russia’s Night Wolves and what do they stand for?